Yeni Wong is actively involved in national and local business and community affairs. Yeni’s community affiliations include an appointment to the President’s Advisory Committee on the Arts (John F. Kennedy Center for the Performing Arts); a mayoral appointment to the DC Workforce and Investment Council; Chair of the Board of Directors of the Washington Chinatown Development Co.; Board of Directors and Executive Committee member of the Downtown Business Improvement District, Inc.; Vice Chair of the Board of Directors of the Women’s Leadership Forum; Director of the Women’s Business Center; and a Director of the National Museum of the Woman in Art. 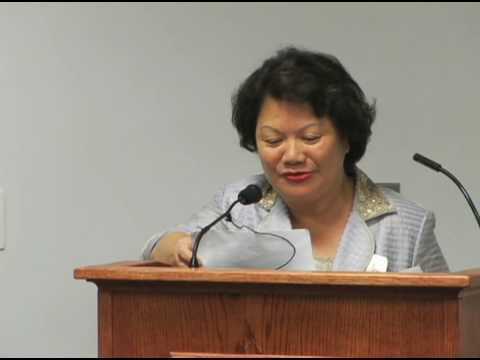 Her Washington, D.C. business affiliations include Chair of the Board of Directors and CEO of Riverdale International, Inc., President and Chair of the Board of Directors of Yeni’s Dim Sum Plus; and President and Chair of the Board of Directors of Golden Palace, Inc.